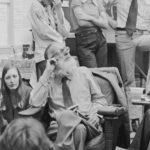 In 1945, Richard Zoellner established one of only two departments of fine art printmaking in the Southeast at The University of Alabama. 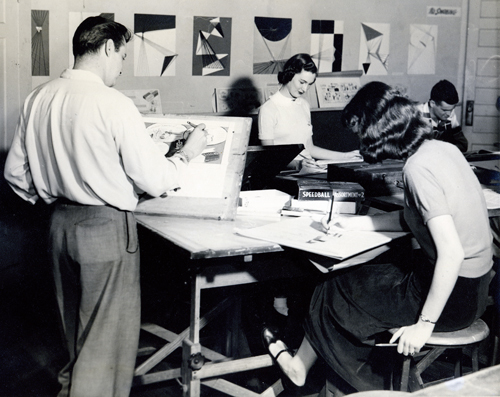 It was the first art department in the state of Alabama. The department also began offering the Bachelor of Fine Arts degree the same year. 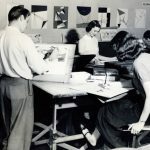 Along with Zoellner, early faculty members were Richard Brough (design and illustration) who came in 1948, followed by Joseph Bolt (art history), Angelo “Jack” Granata (sculpture), and Frank Engle (ceramics) in 1949. It was also one of the first art departments in the country to be accredited by the National Association of Schools of Art and Design (NASAD). The department gained a national reputation and produced graduates such as William Christenberry, Rita DeWitt, Frank Fleming, Edith Frohock, Ed McGowin, Nall, William Walmsley, and Thornton Willis. See more of our notable alumni and faculty here. In its early years, the department was housed in a single-story building located near present-day Russell Hall on University Boulevard. It is now located in two buildings in the “Victorian Campus,” and in facilities behind the Bureau of Mines. Woods Hall and Garland Hall, two buildings of the historic neo-Gothic quadrangle Woods Quad, are the heart of the department. Garland Hall provides space for departmental offices, art history classes, and the Sarah Moody Gallery of Art. Studio art courses are taught in Woods Hall and in an adjacent complex at the Bureau of Mines that houses facilities for sculpture and ceramics. More facilities for sculpture are in the Arts Construction Buildings on 16th Street. 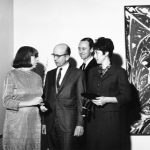 In 1950, Sarah McCorkle Moody donated a Picasso print to the department and thus began the still-growing Permanent Collection of the Sarah Moody Gallery of Art, dedicated primarily to contemporary works on paper, graphics, and photography. 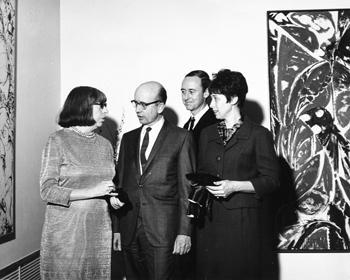 The gallery was first housed in the second floor of Clark Hall and known as the University Art Gallery, where – for example – the first Alumni Art Exhibition was held in 1957. Now the 2,800-square foot Sarah Moody Gallery of Art hosts a regular schedule of exhibitions during the school year, funded largely by the department, the College of Arts and Sciences, and the Farley Moody Galbraith Endowment Fund.